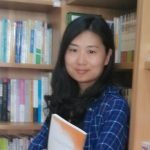 SHIRLEY GUO graduated from Beijing International Studies University, and later got her MBA degree from CUFE. Prior to joining CSOFT, she worked for several large TV and Internet media platforms, and has many years of translation and media experience. She is currently working as a marketing copywriter at CSOFT International. When it comes to multinational companies going global, success seems obvious and almost expected. However, people often underestimate or completely oversee the crucial role that translation plays in these success stories. Good translation guarantees that your message and brand identity are communicated accurately to a worldwide audience. It also increases your brand recognition and ensures that your business is able to become a market leader in your sector. Currently, one of the key growth sectors around the world is manufacturing, and translation is a vital component in supporting its international development. For the manufacturing industry, it is common for publications to include a great deal of specialized language, and this typically means that they need professional technical translators to ensure the highly nuanced concepts and technical terms are communicated as concisely and clearly as possible. In doing so, this significantly reduces the likelihood of critical misunderstandings of important documents (esp. safety and compliance information) and the subsequent risks associated with such misunderstandings. As a quality-conscious business, it is natural that you would want to find a language service partner or LSP, that is able to produce quality translations capable of meeting the rigorously high standards demanded by the manufacturing industry. There isn’t one specific quality that sets an LSP apart from their competitors as the ‘best’ choice, but that doesn’t mean you can’t make an informed decision. Here, we have listed a number of criteria that you might want to give consideration to when choosing an LSP for your technical translations. How long has the LSP been in business? What areas of translation do they specialize in? Who are the key personnel, and what do their work histories look like? Are there testimonials or case studies you can read? While there isn’t necessarily a correlation between years of experience and quality of service, odds are, LSPs that have been around for longer will have a better understanding of the industry and the general needs of clients, as well as having been able to recruit more knowledgeable and experienced staff. 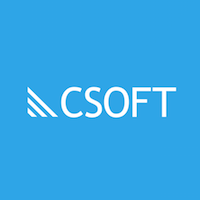 At CSOFT, we have been in the translation and localization industry for more than 10 years, and we require our translators to have a minimum of 7 years’ experience. We recruit only those with in-depth subject matter expertise and field experience. When it comes to quality translation, experience makes a world of difference in terms of accuracy, style, and efficiency. In addition, if a company is able to show any strong testimonials or past case studies, they’re likely to be a pretty solid choice. It is important to pay close attention to all relevant accreditation that your prospective LSP has attained. Generally speaking, it is prudent to look for compliance with ISO standards that demonstrate good business practices. ISO 17100 is an LSP-specific directive that sets out frameworks aimed at ensuring the delivery of quality translation, whilst ISO 9001 applies to all businesses and requires that they have in place sufficient quality control management systems. If your prospective LSP broadcasts compliance with either of these ISO standards, you can rest assured they are likely to be reputable. As one of the first LSPs in the industry to be certified for both ISO 9001 and ISO 13485 (i.e. medical devices quality management system), CSOFT delivers measurable translation quality. As with any business sector, technological innovations have made their way into the field of translation as well. It is certainly important to be aware of how your potential LSP makes use of technology during the technical translation process, as the level to which software is embraced will vary from provider to provider. For example, memory software can hugely increase efficiency by creating a library of important terms, whilst machine translation can speed up the process significantly but at the expense of accuracy offered by a human translator. Beyond translation software, you should also inquire about workflow management tools – these can simplify some very complex business procedures and are often a hallmark of a professional operation. Remember, “You get what you pay for”. You may occasionally get high quality at a low price, but it certainly cannot last long. Although a cheaper LSP can temporarily save your project money, you must always be mindful that a lower price can often be indicative of a lower quality service as well. For some industries, inaccurate technical translations can have disastrous consequences. For example, in 2010 a Chinese translation company mistranslated the chemical element “Ag” (“silver”) to “gold” in a mineral exploitation report from Pakistan. This resulted in significant losses for its client’s investment project, and the translation company was brought to trial. Therefore, you should never have to compromise on quality. Finding a partner who can deliver an accurate translation at a good price is easy if you’re willing to devote enough time to research your options. Often times the simplest and best way to gauge the quality of work is to ask the prospective LSP to provide a small sample translation for you to review. This is an important part of the research process as it allows you to ascertain whether they have knowledge of not just the target language, but also your industry and products, and whether their practices are at a standard you require. This step is also useful as it offers you some insight into how they approach their work, allowing you to identify potentially unprofessional attitudes before committing to an expensive and lengthy contract. When it comes to taking a business global, especially in technical-heavy industries, it’s vital to find a trustworthy and well-credited partner for your technical translations, so take your time to make a full investigation. There’s no shortcut to choosing the right technical translation partner, but you can definitely make it easier by following these suggestions.